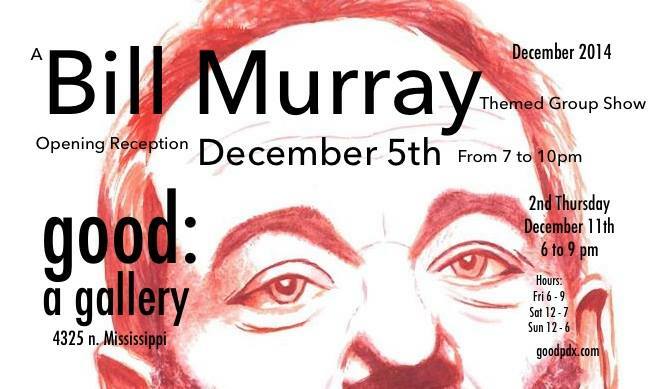 I’ll have a painting in the Bill Murray-themed show at Good: a gallery in Portland, Oregon. The opening is on Friday, December 5 from 7 pm to 10 pm. If you can’t make the opening, the show will run through Sunday, December 28. Here’s my acrylic portrait for the show. There will be so many great pieces at this show. I’m looking forward to it. Here are the show details and the event page on Facebook. How exciting and your painting is incredible! Wish I lived near enough to attend, but I hope you have a wonderful reception! Thanks Rhonda! It will be my first one! I’m pretty excited. 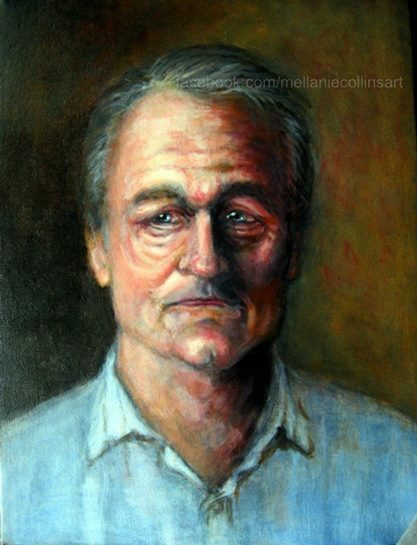 Who doesn’t love Bill Murray? love how the painting turned out. Thanks Erika! Glad you like the painting. Happy New Year!